Team CCFC today visited and presented Mr. Azali and the staff at Lajoya Bay Resort with its CCFC 2018 Title Sponsor framed Jersey, signed Balls and Scarf. 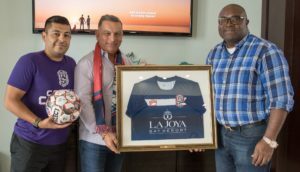 We at CCFC wish to thank Lajoya Bay Resort for their support. 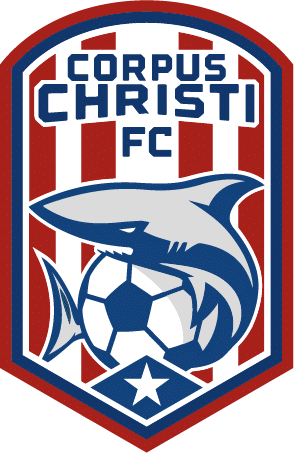 We look forward to a great season next year as we play in USL League Two. Lajoya Bay Resort is a company local to the city of Corpus Christi, it is the Premier Luxury Living resort in the Coastal Bend Region. 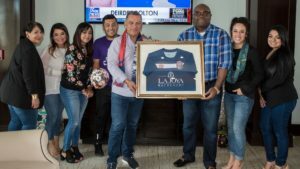 The partnership involved the placement of the Lajoya Bay Resort logo on the front of all 2018 CCFC jerseys, as well as game day promotion events on CCFC home games. La Joya Bay Resort offers 7 distinctive one, two, and three-bedroom floor plans. Enjoy a sparkling bay view in your new apartment home and at their bay side infinity pool. Relax with a massage from their on-site resident massage therapist. Live the life of luxury you deserve at La Joya Bay Resort Apartments.